Have you ever felt stuck, like you don’t know how to move forward? Or have you ever struggled to understand what God wants from you? Do you wonder how to incorporate God’s Word into your situation? Or do you wish that someone would just listen to you and respond to what you’re saying? If so, you are not alone. It’s not at all uncommon for women to go through seasons (short or long!) of feeling a bit lost, lonely, unheard, or far from God. As a certified Biblical Life Coach, I’m trained to help you work through some of the challenging valleys you’ll experience in your life. No woman's life turns out the way she expected it to. From career disappointments to broken marriages, from sudden a relocations to a difficult diagnosis, or from financial hardship to parenting struggles - and anywhere in between, related, and unrelated... the fact is that life this side of Heaven will have more difficult surprises than fulfilled dreams for the woman of God. And that can leave you feeling stuck. I thought I knew what God wanted, but if that wasn't what he wanted, then what does he want? If I wasn't created to do that, then what was I created to do? Countless questions like these can consume you, discourage you, and might even prevent you from seeing what God is doing. This coaching package was designed to help you explore Scripture, pray, and look at your unique gifts and experiences, so that you can be equipped to dig out of the rut you are in and get unstuck! 2) Why are you there? 3) What is God asking you to do next? The concept of "recognize and remember" is a simple one on the surface. But it can be complicated and confusing to navigate without some guidance and practice. Designed specifically for the woman who is hungry to both know God more deeply, and develop greater trust in him when facing life's challenges, the Recognize and Remember coaching package will walk you through the process of recognizing God's faithfulness in Scripture, your life, and the lives of others, and establishing methods to remember that faithfulness when it is hard to see what he is doing. Your life is more than what you have done or experienced. It is a reflection of God at work! Uncovering the scope of telling your story will free you up to share the hope you have in Christ. Has God placed a calling on your heart to speak, write, or blog your story so that you can impact others for his glory, but you're struggling to know where to start? The process of organizing your thoughts and determining what to leave out, what to keep in, and in what order to tell all of it, can be overwhelming to many. And it can hold you back from obediently carrying out that calling. Simply working through several key questions can help you identify just what needs to be said or written. 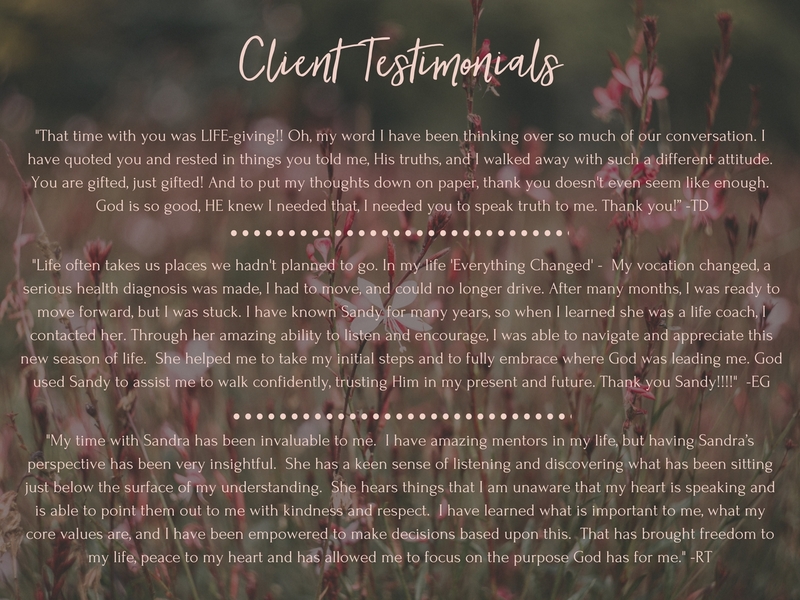 This coaching package will guide you through the process of compiling and organizing the details of your story, to prepare you to faithfully share it with others. ~ Number of sessions will depend on the scope of your story. Ideally I recommend that you should work through a minimum of 3-4 life events, which would indicate 3-4 sessions at minimum. 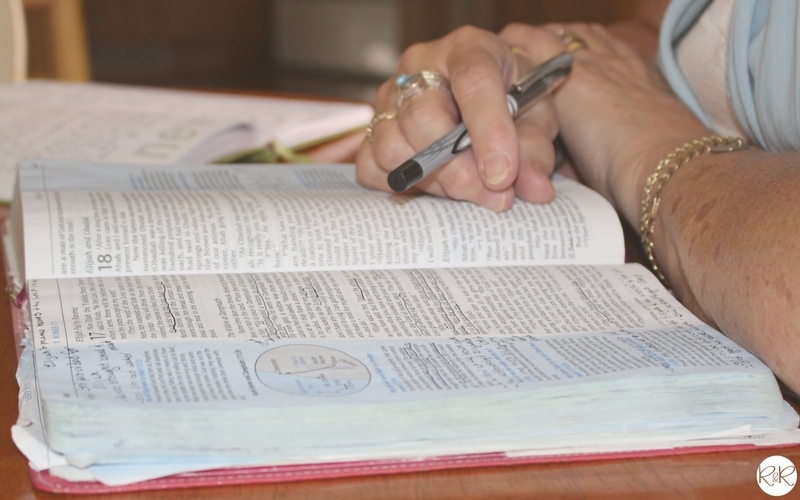 What is Biblical Life Coaching? • Where are you spiritually, emotionally, and physically? • Why are you in these places? • What do you know to be true about God in the place where you are? • What is God asking you to do to move forward to fulfill His purposes for you? The difference between counseling and life coaching is best explained in an article published by the American Counseling Association. They “liken therapy and life coaching to step-siblings: sharing similar traits, but each using different approaches. Many life coaches focus on creating a new life path in order to achieve goals, whereas therapy sometimes looks into emotional resolutions to past problems in order to move forward“, according to Counseling Today. What can you expect from a Biblical Life Coaching session? You and I will talk, either on the phone, on Skype, or in person if you’re local. Each coaching session is an hour long and begins with prayer, where we seek the Lord’s guidance of our conversation. Throughout the hour together, I will ask questions to uncover the areas in your heart that are causing you concern. As you talk, I will listen and offer insight from God’s Word along with other tools. After our session is over, you will receive a personal, written response with a scripture focus for moving forward. Why would you want to experience Biblical Life Coaching? God’s desire for us is to know Him, to grow in your faith, and to trust Him with whatever we are dealing with. As you go through Biblical Life Coaching, you will discuss your unique circumstances and learn how God’s Word speaks directly to YOU. Through prayer, conversation, and learning more about what is in God’s Word, you will gain greater clarity in God’s purpose for your life! If you are considering Biblical Life Coaching as a tool for discovering God’s purposes for your life, don’t delay! Contact me today!